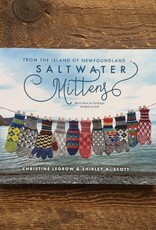 Salt Water Mittens - Spun Fibre Arts, a local and online yarn store specializing in natural fibres. Woollen mittens have long been a Newfoundlander’s best friend. The warmer the better. In a quirky climate of freeze, thaw, blow, and drizzle, good mittens made all tasks easier—to split birch, hammer a nail, gut a fish, draw and haul water, hang clothes on a line, shoot a seabird, or snare a rabbit. Social life, too, always required the finest mittens and gloves. This continues today. These mittens are as practical as they are beautiful—double-knit with two colours means twice the warmth and wind resistance. The patterns are rated by difficulty and varied in style, including trigger mitts, wristers, five-finger mittens (a.k.a. gloves), fingerless mitts for wee ones, and, of course, classic mittens for all. The dozens of colour photographs will inspire you to make your own bold colour choices. 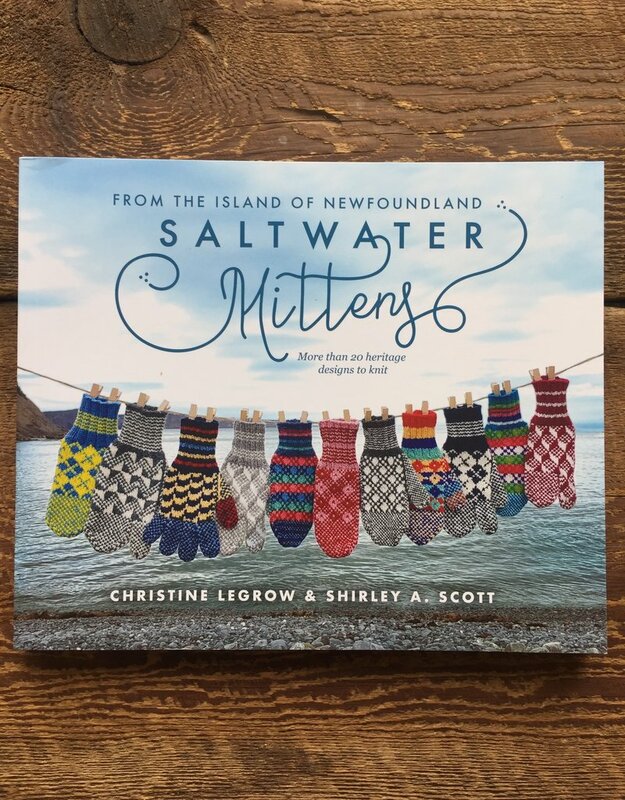 The nuggets of history, and tales of mittens and their knitters, make Saltwater Mittens a book knitters and non-knitters alike can enjoy.